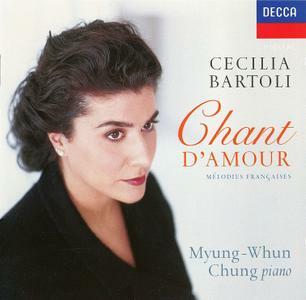 This disc demonstrates that Cecilia Bartoli is as much at home in the world of the salon recital as she is in the swoops and vocal acrobatics of the Rossini coloratura repertoire. Her voice is in fine form here- -rich, resonant and full of surprising colours–but her talent for characterisation is even finer. In Pauline Viardot's "Havanaise" for example, she perfectly captures the flirtatious, almost desperate pleadings of a Spanish sailor for a French girl to accompany him on his boat –and then switches easily to the more capricious and teasing reply of the girl in French. In a number by Ravel (sung in Yiddish and Hebrew) she brings a rather elliptical exchange between a father and his young son to life with exquisite tenderness, and finds yet another voice out of her repertoire to characterise the little boy. Her accompanist, Myung-Whun Chung, supports her perfectly and knows exactly when to let the piano take over a phrase, and when to leave it. Fans will be delighted –others will be converted. After the destruction of the First Temple in Jerusalem in 586 BCE, a group of Jews settled in Yemen. They remained in exile, sometimes prosperous but frequently persecuted, until the 19th century. They then began to return to what is now Israel, first in small numbers and later in an organized wave with the establishment of the Jewish state in 1948. They brought with them a rich heritage of religious, secular, and devotional (diwan) music, the last of which includes both religious and secular subjects. Every Jewish community in Yemen had it's own diwan, consisting of works from the renowned medieval Spanish poets of the Golden Age of Hebrew poetry, as well as original writings from community members. These poems, in the Hebrew, Aramaic, and Arabic languages, were intended to be sung or chanted. 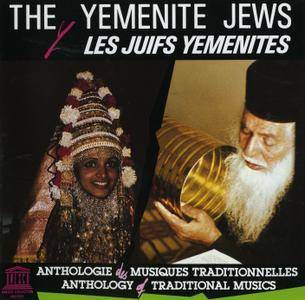 According to the album's compiler Avner Bahat of the Jewish Music Research Centre, the Yemenite diwan is "the richest and most valuable of all." Eleven poems are presented in this 1976-77 recording. The third in the Glass’ trilogy of operas about men who changed the world in which they lived through the power of their ideas, “Akhnaten”‘s subject is religion. The Pharaoh Akhnaten was the first monotheist in recorded story, and his substitution of a one-god religion for the multi-god worship in use when he came to power was responsible for his violent overthrow. 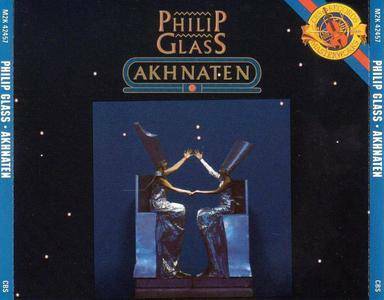 The opera describes the rise, reign, and fall of Akhnaten in a series of tableaus. Libretto (Egyptian, Arcadian, Hebrew, and language of the audience) by the composer in association with Shalom Goldman, Robert Israel and Richard Riddell. Vocal text drawn from original sources by Shalom Goldman. 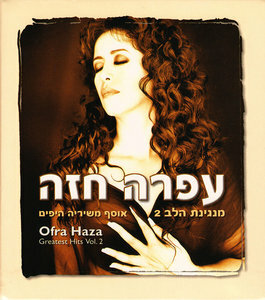 Ofra Haza was quite possibly the most beloved singer in Israel's history, and one of Israel's most recognizable faces and voices worldwide. As a daughter of immigrants from Yemen's Jewish community and as an international superstar, she incorporated many styles into her repertoire. 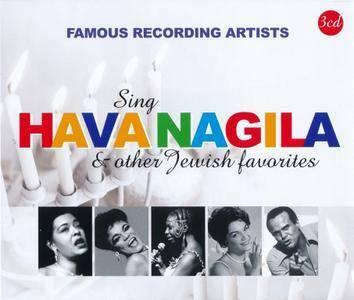 This wonderful collection contains 53 of her most popular songs in Hebrew, Arabic, and English. Steve Reich is the self-renewer of his one-time minimalist peers, able to revitalise his output just at the point when accusations of resting on laurels start to surface. By 1980, he had seemingly exhausted the possibilities of eight years of harmony-based writing, and aural wallpaper felt worryingly close. 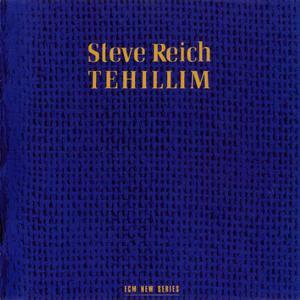 Tehilim changed all that: with its grounding in Hebrew cantilation and complex though always dancing rhythmic surround, this was Reich at his absolute best. The four Psalm texts–never so literal as to be settings–form a half-hour vocal "symphony", in impact though emphatically not in conception. 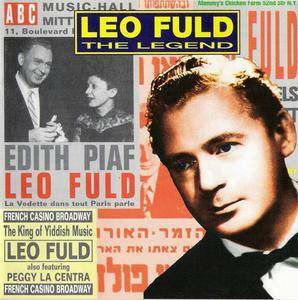 Leo Fuld was the last performer of the Yiddish popular ballads, who´s career started well before the 2nd World War and ended short before his death in 1997. In 1938 he hit Broadway and recorded and performed with well-known artists like Frank Sinatra or Edith Piaf. Just a few months for his death he performed with the Algerian rockgroup Railand and recorded The Legend. 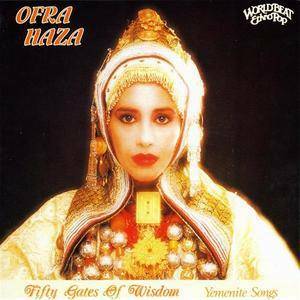 Fifty Gates Of Wisdom is a 1984 album by Israeli singer Ofra Haza. Originally released as Yemenite Songs, it became known when British duo Coldcut sampled her song "Im Nin'Alu" in their remix of Eric B. & Rakim's "Paid In Full". It was due to that attention that lead to her gaining attention around the world after creating music for ten years. This is the 1988 pressing released by Shanachie. 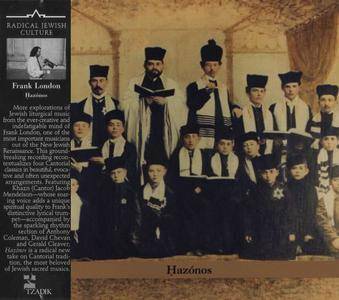 Hazónos is a 2005 album by Frank London. This comes through the advice of Tzadik. 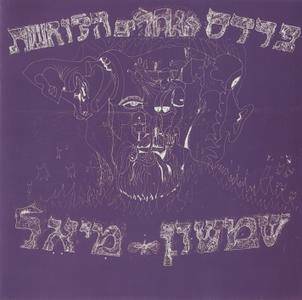 Shimshon Miel is a sole musician, a multi instrumentalist who recorded this album by himself in Tel Aviv 1977. He had one public appearance at the Rock Club in Tel Aviv but shortly after disappeared from the public eye after failing to distribute his record. Originally released in 1977 in an edition of 220 copies privatly. The music is fabulous fuzzy acid folk with experimentations in a 'Canterbury ' way, with some exciting fuzzy distorted guitar passages and some long tracks included here. The CD has 4 bonus tracks. 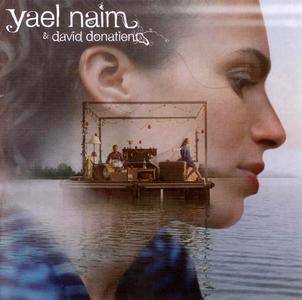 2007 sophomore album from the Paris-born and Israel raised singer, songwriter and musician who has also recorded under the name Yael. This album, which features songs sung in French, English and Hebrew, features the worldwide sensation 'New Soul', a track that has gained fame as being the music played during Apple's Macbook Air ad campaign in 2008. Born in Israel in 1970. coming from a Yemenite and Iraqi background. Mosh Ben Ari first discovered music through the traditional Jewish ethnical chants that were part of his everyday life. Mosh Ben Ari studied music in many countries like India, the Sahara and Sinai Deserts. Mosh Ben Ari plays various string instruments such as Guitars, Indian Sarod, Persian Tar, Turkish Jumbush, Moroccan Ginberi and Bass Guitar. 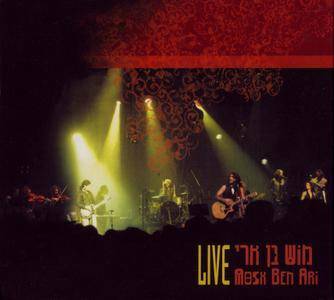 In 1997, Mosh Ben Ari founded with some friends, the world music ensemble ‘SHEVA’ which has released 4 albums and continuously touring the world, playing dozens of shows in the most prestigious festivals & events. 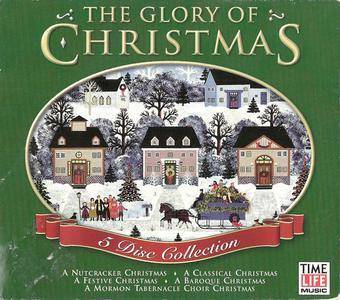 The Glory Of Christmas is a 5CD box set of Christmas music released in 1998 by Time-Life Music. It features the discs A Nutcracker Christmas, A Classical Christmas, A Festive Christmas, A Baroque Christmas and A Mormon Tabernacle Choir Christmas. For fans and fanatics of Christ almighty. 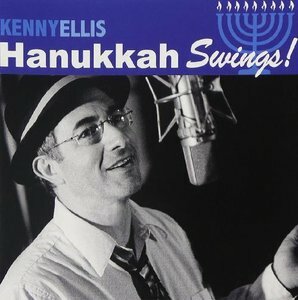 Hanukkah Swings is the 2005 CD by singer Kenny Ellis. 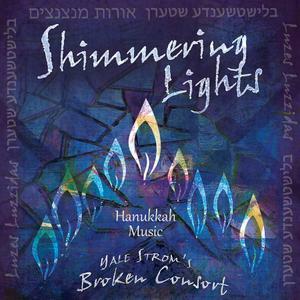 It's holiday/seasonal music for Hanukkah done in a jazz format, so it's swinging and spiritual at the same time.